High Peaks MEMBERS ONLY Wildflower Stroll on Saturday, April 29 Not a Member? Join Now! Read more about High Peaks MEMBERS ONLY Wildflower Stroll on Saturday, April 29 Not a Member? Join Now! Please join the High Peaks board members this Thursday for our regular Board meeting. Have a cup of coffee with us at Appalachian Java while we discuss hiking plans, our upcoming trail work on Earth Day with the Arthur Morgan School at Black Mountain Campground and other issues. Meeting begins at 9 am. Hope to see you there! NOTE: Due to poor weather on Friday we will not be working on that day. However all the other events noted below will take place. 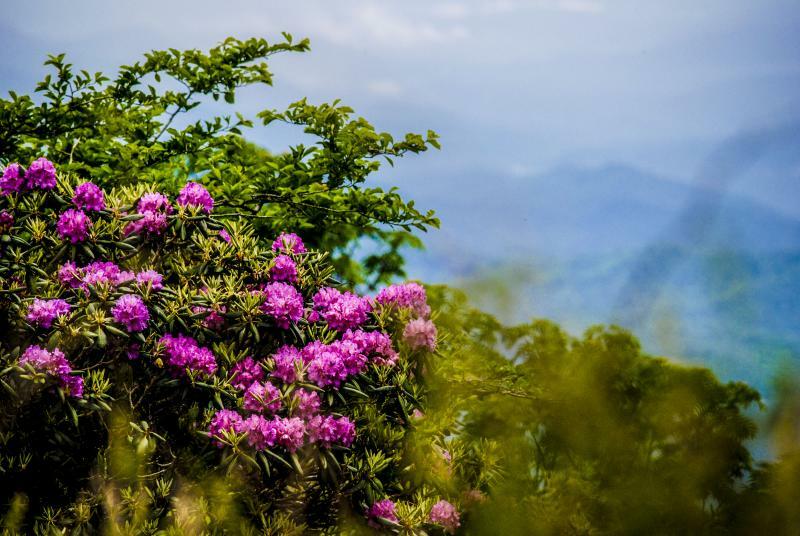 Join the NC High Peaks Trail Association Saturday, April 1 for one of two hikes on the Appalachian Trail that will summit Roan High Knob, one of the region’s signature peaks. The more challenging hike will start at Carver’s Gap, proceed over the Roan High Knob and then descend steeply to Hughes Gap. The overall distance is 6.6 miles and the hike is rated as very strenuous, mainly because it includes a descent of about 2,000 feet, which can be punishing on the knees. Bill Jones, founder and president of Carolina Native Nursery on Prices Creek Road, has agreed to take time out from his busy spring schedule to present a talk to our membership called, Native Plants For Birds. This is an excellent opportunity to talk to an expert about native plants and birds and how they interact. Learn what to plant this spring and summer at your house or place of business. Join us on Saturday, March 25th at Cane River Park, 9am, for our first Birding Stroll of the year. The bird population at the park is already changing quickly as migrants begin to move through and summer residents arrive to breed. Recent reports at the park include Wood Duck and Wilson's Snipe. Due to weather conditions we have decided to POSTPONE our work weekend at Black Mountain Camptround to April 7 through 9 (Friday through Sunday). The plan is still the same but the weather should be better! Amazon Smile has donated over $50.00 to NC High Peaks so far!